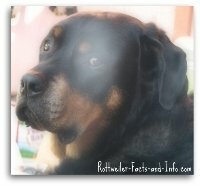 Buy dog food online - Save Gas, Money and Time! 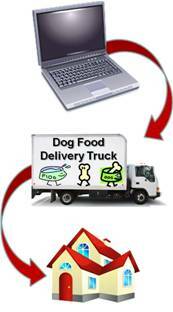 When you buy dog food online, you really can save time, money and gas. But, not all online dog food shippers are created equal. When I first thought about ordering dog food online, I figured it would be a great deal, because I wouldn't need to pay my states tax - only shipping. Well, I quickly learned that most of the online pet supply stores in the United States are located on the East Coast. I'm located on the West Coast. That meant they wanted to charge me an arm and leg for shipping. So, even though they had a better price on the food than my local pet stores, the shipping charges made the food about $10 - $15 more! My thoughts were "why in the world would someone buy dog food online, if it's THAT much more expensive?". So, I pretty much gave up.
. . . .Then, along came PetFoodDirect! When I first came across this company, I was pretty skeptical when I put in a sample order to see what the shipping would be. I had done this on probably 11 sites already, so I wasn't holding my breath. Needless to say, I was pleasantly surprised to learn that they just have FREE shipping on any order over $49.00! And if your order is under $49.00, it's just flat rate shipping of $5.99 - Period. No matter where they're shipping to (in the U.S. anyway), it was just that one price. 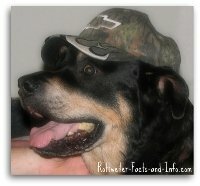 Well, the food that I feed my dog Chevy, along with the flat rate shipping turned about to be around $7.00 cheaper! So, what that means is that I buy dog food online and. . . Right now PetFoodDirect is actually offering a limited time special offer of 20% off your first order, and of course if your order is over $49.00, then shipping is totally free! Hmmmm. . . . Does it get any better than that? Take a look at PetFoodDirect's website - put in a sample order and do the calculating to see what the final cost is. They offer all the same brands that you can find at Petco's and Petsmart's and your other local pet supply stores - only cheaper. 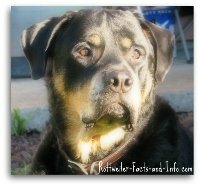 You may already know about how often you need to buy your dog more food, and if that's the case you can set up a set delivery schedule for your order. It took me a while of documenting how long it took us to go through a bag before I knew what time frame to set my schedule at, but now - Chevy's food comes exactly when I need it. We usually have about 5 to 7 meals left in our old bag, and one can remaining (I mix the two together). It works out perfect! It's really a no-brainer if you ask me, but hey don't just take my word for it. Click on the picture below and have a look for yourself. Using this link will ensure that you qualify for all the discounts.